Well we have had snow cover on the course since the first week of December. Northern exposures had up to 18 inches of snow and the southern exposures have had snow cover off and on over the last month. With six weeks of snow cover on the greens it was time to start to pull the snow and ice off. 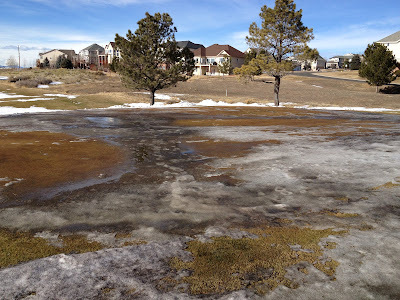 Typicality Poa can go 45 days with continuous ice cover and bent 90 days plus. Most of our greens are bent with 5 to 10 percent Poa so we decided to stick with the 45 days. We have monitored the greens all winter and we did not see ice until a warm up after Christmas. We went from a foot of snow on the ground one day and temps in the upper 60's the next. So far the removal went great and the greens have melted off with some help from black sand and Humates. We used what ever we could to remove the snow by hand, snow blowers, tractor, modified sand pro with plow and even our truck and plow. 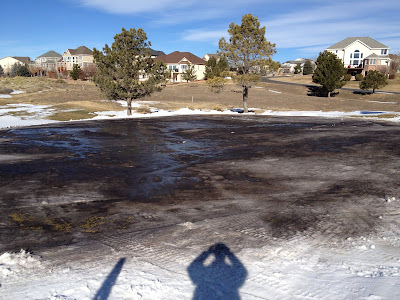 Below are some pictures of our snow removal. 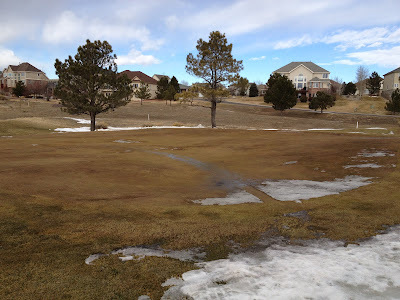 15 green after snow removal and application of black sand and humates. On the afternoon of the17th Jan. One to two inches of ice present. Removed 8-10 inches of snow.